Sure, your dad knows how much you love him, but summing up your appreciation for all he’s done for you in a Father’s Day card is no easy task. He is the one who taught you how to ride a bike and drive a car, and who awkwardly comforted you after your first heartbreak. He’s the one who helped you through college, and who still offers life advice, big and small, whenever you need it. More than anything, he’s helped make you into the person you are today. He’s just…Dad. And he definitely deserves to be celebrated. So how can you make him smile on Father’s Day? Every parent-child relationship is unique, and only you know what will brighten your dad’s day. However, we have rounded up a few ideas that may spark inspiration and help you get creative. If he loves a good meal (and who doesn’t? ), we’ve compiled a list of brunch recipes sure to show him you care. If you’re planning to send a heartfelt card and gift, we have suggestions for quotes and books that you can enjoy and bond over. If he likes to reminisce, you can’t go wrong with time spent chatting about what your dad remembers about the day you were born and what he’d expected fatherhood to be like at first. 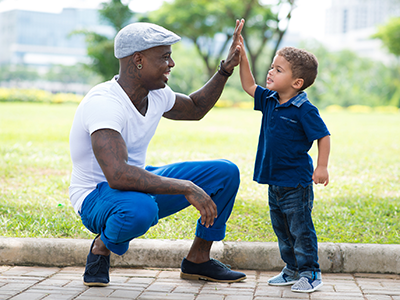 Finally, if you’re the type to think outside the box, you’ll find ideas for celebrating dad based on his star sign…or just making him a playlist you can listen to together. Bottom line? It’s all about the quality time. He’ll love that. Happy Father’s Day!